Au-delà des images...: Ensemble Graduation pour jeune homme! Masculine Graduation kit ! Ensemble Graduation pour jeune homme! Masculine Graduation kit ! Merci de venir me visiter! Je vous présente aujourd'hui un petit ensemble conçu pour un jeune homme qui gradue. J,ai fait une petite boite en origami, au style de mortier! Afin de la préserver, je l,ai enduite de Mod Podge. Le couvercle est un carton épais recouvert de Sticky back canvas, et de peinture acrylique noire. 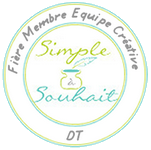 Je l'ai accompagné d'une petite carte, d'une dimension à laquelle je ne suis pas habituée! j,ai colorié Graduation Edwin, avec mes copics, et l'intérieur est décoré soit avec des collants ou une image digitale d'un mortier et d'un diplôme ( étampes digitales de Meljen,s designs). Thank you for visiting me today, I would like to share with you today a little Graduation set I made for a young man! The little origami box takes the shape of a graduation hat. I covered a thick cardstock with sticky back canvas, painted with black acrylic paint; the box itself received 3 coats of ModPodge to ensure durability. I created a little card to match in a size I am not too familiar to work with. 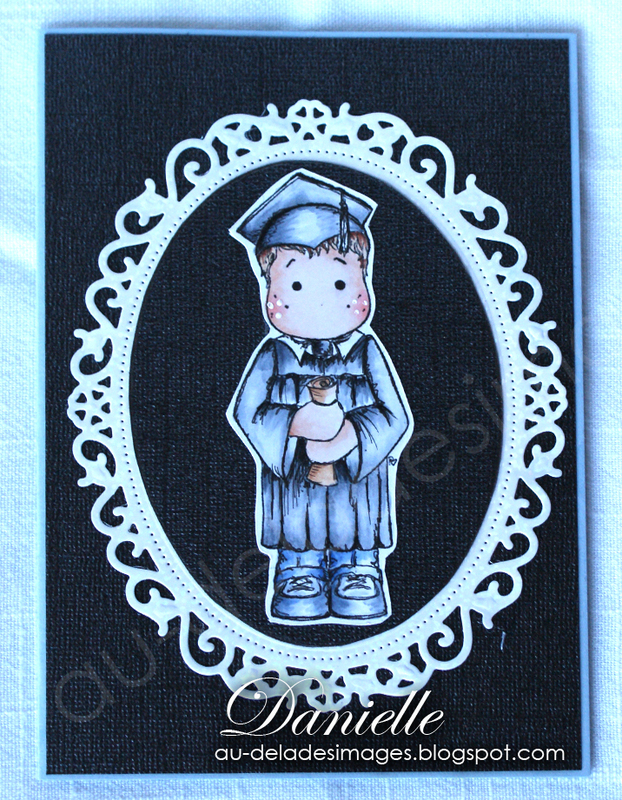 I used the beautiful Spellbinder oval to showcase Graduation Edwin, colored with copics. The inside of the card is decorated with stickers and the writing space with a cute digi stamps from Meljen,s designs. Tout emballé et prêt pour la livraison! All wrapped up and ready to be delivered! This is a phenomenal graduation set, my friend! Love the card with the cute little envelope and the little origami box in the shape of a graduation cap is incredibly gorgeous and very creative! This is a outstanding graduation gift! I love the origami hat! You think of everything and that is why I love your art. Great card too, the inside is so nicely done. Whoever gets this wonderful graduation gift sure is lucky. 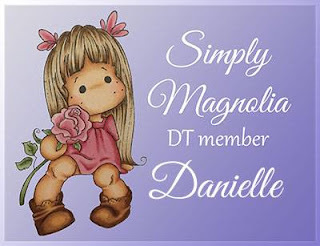 You always do such fabulous art work with paper Danielle. It is a pleasure to follow you oh talented friend!! Wowwww Dear Danielle! This is a FABULOUS set for a lucky guy! I know he will absolutely LOVE what you've made him! And you even made the box top to look like a graduation cap!! Oh my gosh, you are so CLEVER!!! I love this!!! Hope you and your family are having a beautiful weekend! 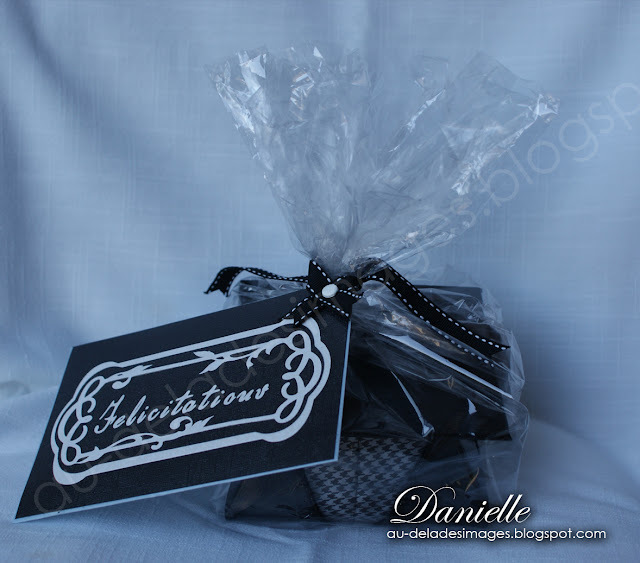 Love the 'clean look' of your cards and present! Thanks for sharing en inspiring. Waw! Quel bel ensemble! Belle idée inspirante que tu as eu là Danielle! I'm finally home and what a lovely find to see this magnificent graduation gift set! I love every detail that you put into this. 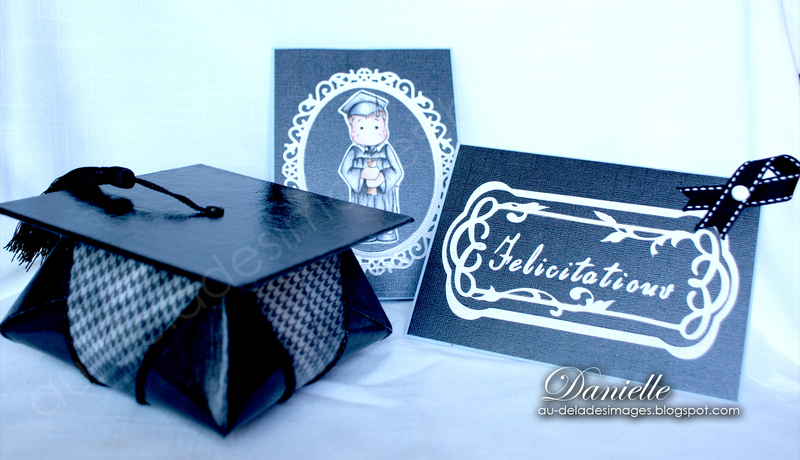 What a great idea to make that origami box a graduation hat. Great card inside and out. Your work is always beyond fabulous! Quel bel ensemble!!! Ta boîte est craquante! wow superbe ensemble!! encore une fois j'adore!!! Danielle, this is fabulous. The entire set is just perfect. I love the origami graduation hat--brilliant idea. It's just the right Edwin to grace your card and beautifully coloured as always. Love the diecuts. It's a graduation kit to be treasured. Que d'imagination, c'est absolument magnifique cet ensemble Danielle, ton talent est vraiment immense!!!! !